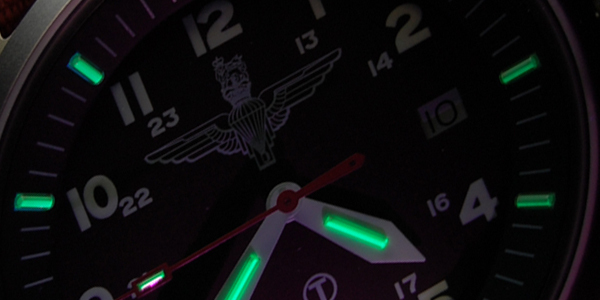 Welcome to the militarywatchshop.co.uk . We are an authorised stockist of traser H3 and the brand new range of H3 GWS G10 military watches fitted with the world renowned trigalight illumination system from the Swiss manufacturer, Mb-Microtec. We hold the complete range of traser and H3 models found on our website in stock for guaranteed next day delivery in the UK. All traser & GWS H3 G10 watches feature trigalight technology (Gaseous Tritium Light Sources - GTLS) to make them probably the easiest watches in the world to read in low light or even total darkness. This technology does not require a battery or external power source in order to work and never needs recharging or servicing. Guaranteed for 10 years, this technology fitted to the dial and hands of all traser H3 watches makes them ideal for military and emergency services personnel.